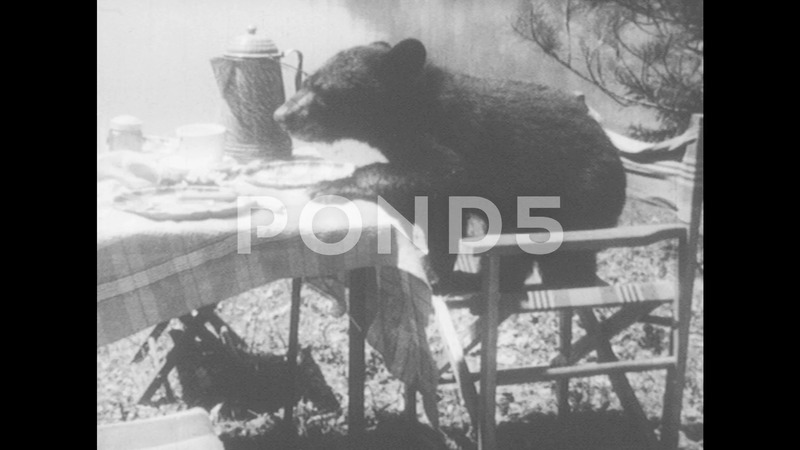 Description: 1950s: Black Bear Cub Eats Food From Picnic Table Then Knocks Things Off Table And Runs Away. Boy And Girl Find Bear Cubs Eating Food At Picnic Table. Boy Points At Bears. Bears Run Into Lake.